After five printings of the Twins Memory Game, the creator of the game Maaike Strengholt comes up with a complete new version of this familiar mind teaser. 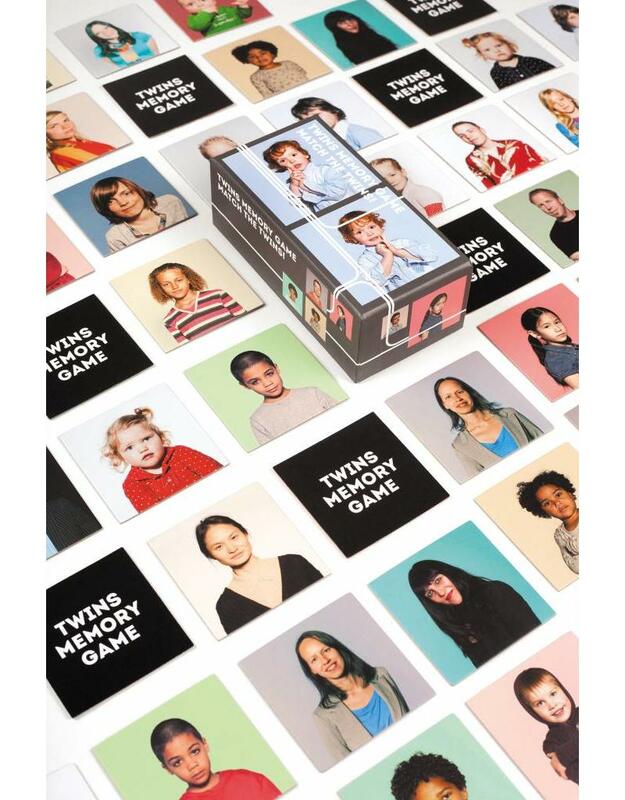 30 pairs of identical twins, new people, new photography, same assignment: find the most matching sets of identical twins and win. But be warned: identical twins are not always completely identical! To win the game, you need to do more than just rely on your memory. When you find found a matching set, it is fascinating to study the portraits on the cards: you instantly notice the similarities but start searching for the differences. After graduating at the Design Academy in Eindhoven, she and her twin! sister started Deux d'Amsterdam, creating high-profile performances, and designing the appropriate costumes and props. One of the highlights was the installation for fabric manufacturer Vlisco at the World Expo in Shanghai.